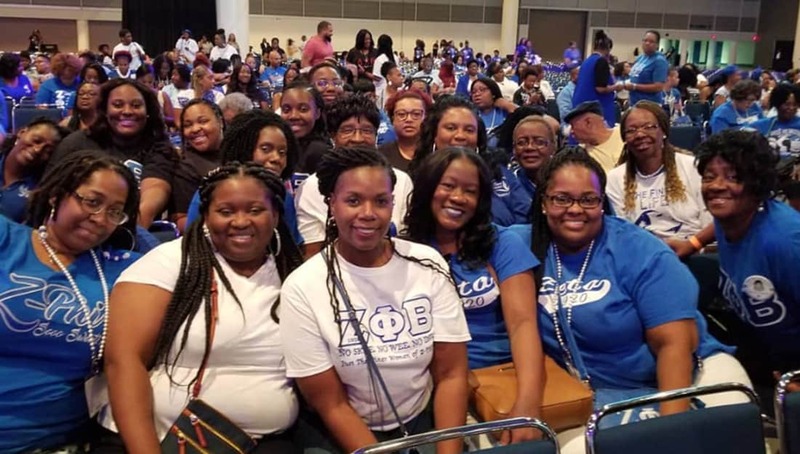 Sorority members of Zeta Phi Beta Sorority, Inc. from across the world convened together in New Orleans this month for the organization’s Grand Boule. This mass gathering of Zetas was hosted by the Southern Region of the sorority and included everything from a parade, masquerade ball, business meetings, networking and even a stroll off. Along with all of the service, there was also a lot of style. The sorority members painted the town royal blue & pure white, so we at Watch The Yard decided to make a list of the best photos from the Grand Boule to highlight how they celebrated their sisterhood in a way that only the women of Zeta Phi Beta can! Check out our curated list of the best photos from the Grand Boule by clicking on the arrows below! Share this on Facebook if you think the women in these photos deserve to go VIRAL!